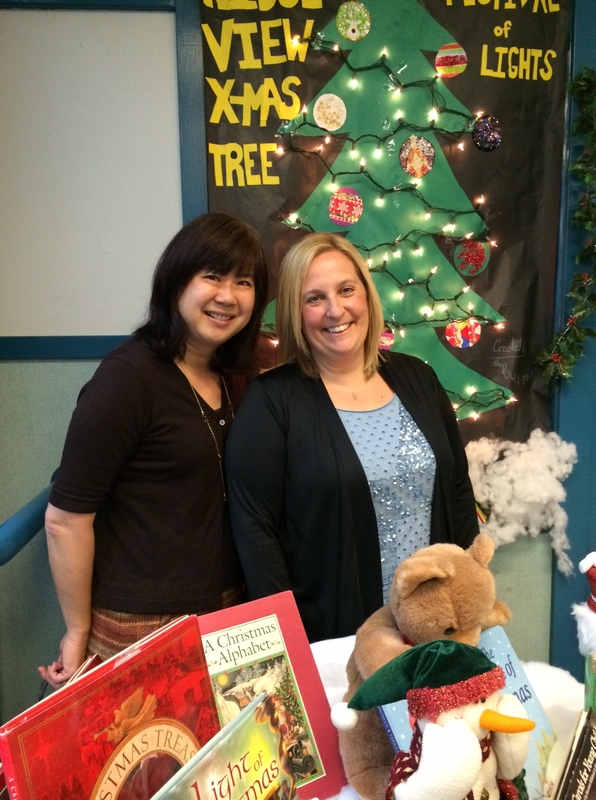 Christy and I (Andrea) are Kindergarten teachers in the West Vancouver School District. We met and became teaching colleagues in February 1994. Four children (a daughter and son for me, two daughters for Christy) and nine years later, we decided to job-share at our current school. We started off teaching half-time (three days one week, two days the next) in Grade One for three years. Then our beloved Kindergarten teachers of 19 years decided to retire and we were asked to move to the Kindergarten. Christy had previously taught Kindergarten, but not me. She bravely led me through the next five years of Kindergarten, each of us continuing to teach half-time, and in half-day Kindergarten. Those were the days of 40-44 students over the course of a day, and the same number of report cards and parent-teacher interviews! Fast forward to 2011 and the Full Day Kindergarten Program at Ridgeview was implemented. For Christy and I, it was the “divorce” we never wanted to happen. We had enough enrolment for two Kindergarten classes. We decided to each take one classroom, and have continued to plan and team together to teach our students. We look forward to joining forces again one day, and sharing a classroom. We’re still teaching Kindergarten and still loving it. For myself, it’s a road I thought I would never take. In my 28 years, and Christy’s 21 years, as teachers in BC’s public education system, we have taught from Kindergarten to Grade Four, including Learning Assistance for both of us. We love each grade for what it is; it’s like loving every age your child is at. However, we’ve found over the years that it’s probably the most satisfying and rewarding of all grades because the growth in each child is so huge. Professionally, we think it’s incredible grounding for even an experienced teacher to see how learning in the school context begins. It’s a tremendous privilege to work with our littlest learners and to set the foundation for learning over a lifetime.